Kingroot APK has the highest Android root success rate. With one click, Kingroot APK can root and unroot Android device including Samsung, iTel, Gionee, etc., To root Android phone successfully, Kingroot APK is good at that without PC or laptop to aid the root process. So, Kingroot has released more than 7 APK version with upgrading feature and bugs fix. Kingroot APK is a line of codes to grant root access to all MTK smartphone such as Tecno and Infinix without brick. Here today, you will learn everything about Kingroot for Android. Features of Kingroot, how to root Android using Kingroot, Android root checker, and all direct download link to all Kingroot release. Kingroot is a piece of program for smartphones, Android, to grant root access to the phone to unleash the phone hidden features when runs on the phone. Kingroot tool has no record failed root except it’s not compatible with the device. The root app works perfectly on mostly MTK phone and on all Android versions. It supports Android CupCake to Android Oreo. 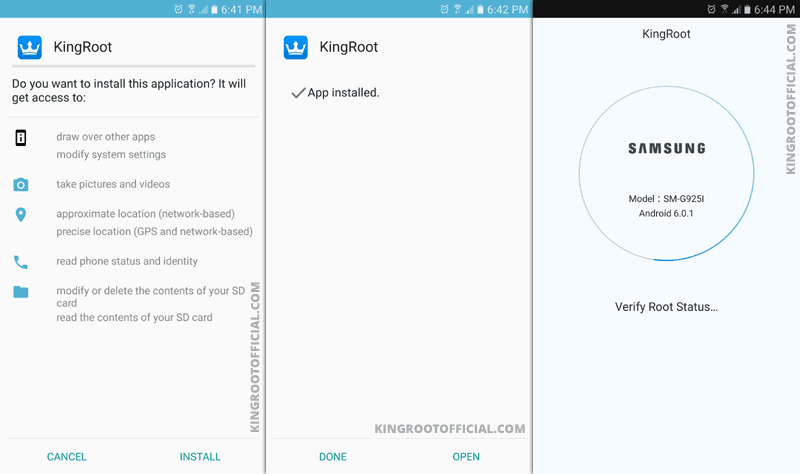 Kingroot has some features that set the root app apart from other phone root apps. However, the trending features of Kingroot are as follows. Kingroot is regarded as the fastest root app with the “one click root” feature. The feature allows users to root supported devices instantly and with just a single click. The same rooting procedure for all devices. Follow the link below to download latest Kingroot app version, install the APK, and run the app on your phone to grant access. Kingroot has a feature called purity feature. This feature enables users to quickly carry out some task without digging deep into the phone system such as clear phone caches, clear phone data, uninstall both preinstalled and self-installed apps, disable auto-start apps, and increase battery life. I didn’t see this a the root app deficiency rather an advantage over other root apps. When you are connected, Kingroot will search for the best procedure to root your device so that it doesn’t encounter procedure during the process. This is to make sure the rooting is done 100% successfully. After you have successfully root the device using Kingroot APK. You can also confirm whether the phone has been rooted successfully. It’s recommended to use an external tool called Root checker to check whether the phone has been rooted successfully. If it has, it will show rooted otherwise it will show no. Android root checker can be downloaded from Google play store and you can also download the root check APK from APKpure or Uptodown or APKhere for the latest root checker APK. Kingroot APK is an unofficial app to install on Android directly without enabling unknown sources. Since the app is not a Google verified app, there is a need to instruct your Android device to install the app without giving an error message. However, the first thing to down when you want to install Kingroot APK is to enable install from unknown sources on your Android device. Once the option is allowed the grey button will change to green to indicate that the feature is now active. Here is the list of all Kingroot version from the first release to the latest. To start with is the oldest Kingroot app and last in the table is the newest version. They’re other apps to root your Android. You can use Kingo root, iRoot, SuperSU pro, SuperUser, and many others. However, here is how to root Android using the Kingroot APK you downloaded from the link provided above. If you don’t want to root your phone again you can unroot it using the root app. Kingroot APK is a tool to root your Android with just a click and without problems. The root app has zero percent of brick. It doesn’t stick phone at the startup page or after logo.